The 14k gold pendant is magnificent! 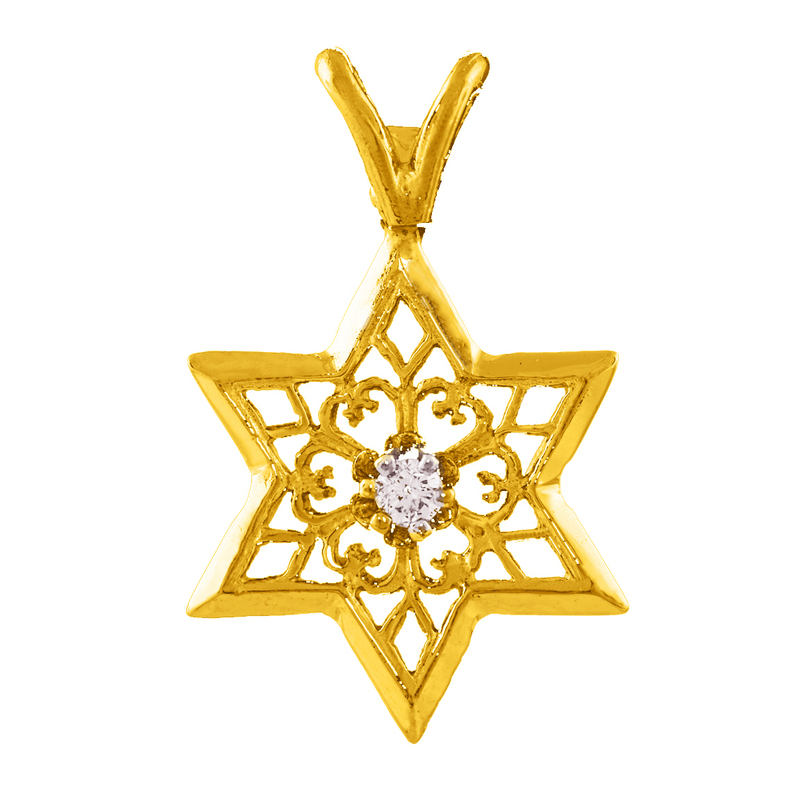 Featuring the Star of David with a snowflake design in its center, it is embellished with a high quality 0.03 carat diamond. A super gift idea to surprise that special someone in your life! Pendant is available in both yellow and white gold.